You Are Here: Home » Travel » Malaga Airport: How To Book The Right Airport Transfer and Why Book In Advance? Malaga Airport: How To Book The Right Airport Transfer and Why Book In Advance? When you arrive in Malaga Airport for your stay that’s the start of your holiday. it is time to relax and enjoy your time here on the Costa del Sol in sunny Spain. Airport transfers are a peculiar thing and one often not included in the planning stage of a trip away. I strongly suggest you plan in advance so that you don’t have to waste valuable time and money searching for transportation from Malaga Airport to your hotel or resort. I have outlined a few reasons why you need to plan ahead but for a more detailed read the following comparison post to get you the best transfer from Malaga Airport. 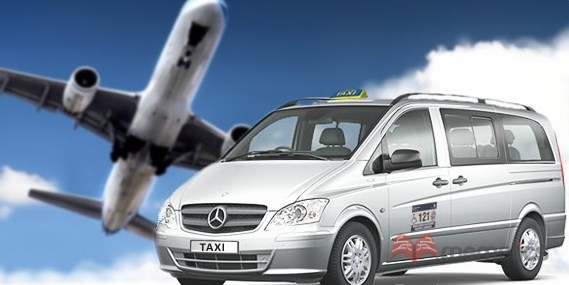 The post compares the top 10 Malaga Airport minibus companies for service and price and guides you on making the right decision when it comes to large group transfers from the airport. While couples and singles have numerous options like buses, taxis, trains and so on, the most cost effective way for a group of 5 or more people to travel around Malaga is by minibus. 1. The overall cost is split between more people. Traveling by minibus means that everyone gets on the transportation vehicle and arrives at the destination at the same time. This means that no one can be left behind and everything moves a lot faster. Moreover, the group would not have to look for the minibus at the airport – like it would a taxi – because the minibus would be booked in advance. And because you can plan ahead you take the stress and hassle out of booking several taxis and language barrier issues. When choosing a minibus you have a lot of time to pick the best one for your group. You have time to research and see what companies are on the market, what prices they have and if they have any special offers or perks. If you travel with children or disabled persons, companies can provide you with special car seats and ramps to suit your needs. Evidently, you should ask for this information before you ask for a quote and notify the company about what you will need. You don’t have to wait around at Malaga Airport. When renting a minibus, the driver is there before your plane lands. They will have a board with your name written on it, therefore making everything easy and quick. What Makes for a Good Minibus Company? When looking for a professional minibus company, you will need to take a few things into consideration. The company should have good reviews and they should have drivers who speak English. Drivers must have a driver’s license, insurance and no legal issues. A good minibus company should have all prices upfront and no hidden costs or extras. They need to be upfront and honest about price for extra baggage or special claims like children car seats and ramps for the disabled. When choosing the right company you have to do a little bit of internet research. Look at who has the best price, but also take into consideration how fast the company replies to your inquiries and concerns. Look them up on your favourite search engine and see what other travelers have to say about that company. Good luck with choosing the right minibus offer that suits the needs of your group. For more posts on discovering the “real” Malaga do check out http://www.malagaairporttransfers.com for impartial reviews to get the best out of your stay in Andalusia. Malaga, Costa del Sol is a wonderful city with beautiful coastal towns, beaches and plenty to do for families and couples alike. Make sure you get your holiday off the the perfect stress free start and book the right Malaga Airport transfer.